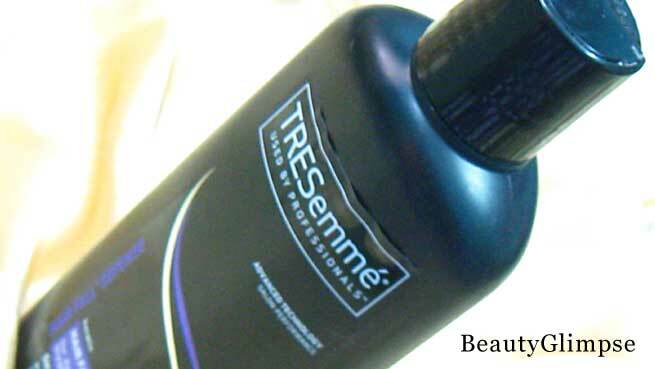 TRESemme Hair Fall Control Shampoo is a surfactant-based hair care product introduced in the market by Hindustan Unilever Ltd. Being a brand ‘used by professionals’, it offers ‘professional quality’ results at home, every day. The secret behind its salon performance is its advanced hair fall defense keratin technology, which is especially formulated for damaged and breakage-prone Indian hair. It helps reinforce your hair strength and prevents hair fall due to breakage. Use it regularly for longer and stronger hair. 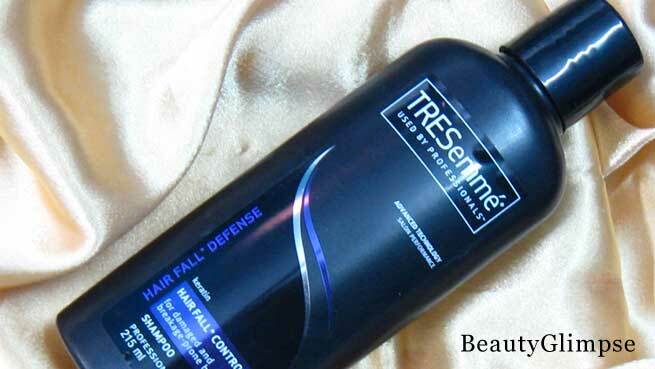 Note: After daily shampoo, for best results use with TRESemme Hair Fall Defense Conditioner. Style using your favorite TRESemme styling products. Water, Sodium Laureth Sulfate, Dimethiconol and TEA-Dodecylbenzenesulfonate, Cocamidopropyl Betaine, Perfume, Sodium Chloride, Carbomer, Glycol Distearate, Guar Hydroxypropyltrimonium Chloride, Mica and Titanium Dioxide, Disodium EDTA, DMDM Hydantoin, Lysine Hydrochloride, Panthenol, Hydrolyzed Keratin, Pyridine-3-Carboxamide, Pyridine-3-Carboxylic Acid Amide (VIT-B3), Pyridoxine Hydrochloride (VIT-B6), Tocopheryl Acetate (VIT-E), Sodium Ascorbyl Phosphate (VIT-C), Methylchloroisothiazolinone and Methylisothiazolinone, Sodium Hydroxide. According to the suggestion of TRESemme lead stylist, we should apply the shampoo to wet hair, gently massage and work into lather. Then, rinse thoroughly. Rs. 145 for 215 ml. Very easily available in all offline and online stores. The bottle of TRESemme Hair Fall Control Shampoo itself has a wonderful professional touch. It is a matte black plastic bottle that looks apparently simple. But the smart plain design, amazing sturdiness and all necessary information pasted on it make it an elegant one. It has a ‘press-to-open’ cap at its top, which is very easy as well as convenient. 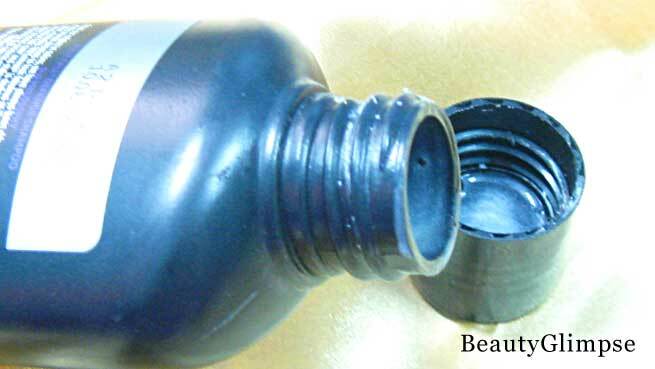 Though you can’t check the amount of shampoo left inside the bottle from outside, you can remove the cap and take a peek into it for this purpose. The entire packaging is very travel-friendly. The shampoo has a beautiful pearly white color and a nice fruitilicious smell, which I like very much. It has a medium creamy consistency i.e. neither too thick nor too runny. The first thing I noticed about TRESemme Hair Fall Control Shampoo is that I don’t require a lot of it for one wash. I usually oil my hair, leave it overnight and then, wash it with shampoo in the morning. But still, a coin-sized amount is enough to get good lather and squeaky clean tresses. From the moment I started using this product, my hair has turned softer and smoother. I have dry wavy hair with a little frizziness. But each time I use this shampoo, my hair becomes totally manageable and I love to touch it again and again. However, it doesn’t reduce hair fall as it claims. My hair is very much prone to breakage, but I haven’t seen any changes in my hair fall scenario after using it continuously for 6 months. It also couldn’t prove its keratin goodness as I’ve not found any straightness or shine in my hair. Moreover, it contains SLS, which is also not good for the health of our hair. Well, if you are yet to find the best shampoo for your hair, you can go for it. Though the result may vary person to person, I can’t recommend it to you for reducing hair fall as it didn’t work for me. But yes, it improved the texture, appearance and overall quality of my hair, which is definitely good. So, if you are looking a reliable shampoo for any of these purposes, it will be worth a try totally.